1. We must know what it means to guard—from a Hebraic perspective. One must ask, does this guarding even make sense to us in the 21st-century West? 2. We must know that the Month of the Aviv is and when it occurs. This then becomes a calendar issue. 3. We must know what is required of us in the guarding of the Month of the Aviv. We must understand how we are to go about guarding/keeping the Month of the Aviv; not from man’s perspective, but from the Creator’s perspective. Deuteronomy 16:1 contains the instruction that we are to guard—to shamar—the Month of the Aviv. The Google definition for guard is to watch over in order to protect or control. The Hebrew definition for guard is to hedge about a thing as with thorns; with additional clarifications of protecting; to keep; to mark; to preserve; to wait for; to watch. Sadly, most of us focus solely on the Passover Seder. Yet we see here that we are commanded to do what? We are commanded to guard The Month of the Aviv. The Jewish Calendar is based solely upon precise mathematical calculations and is not Torah based. Rabbinic Judaism has taken this instruction (and others like it) to place a hedge around the Month of Aviv (and thus all of the Creator’s Feasts) as authority to manipulate and control the Feasts of YHVH contained therein. Thus they have changed the instructions of YHVH and made them of no effect by their traditions and ordinances and rules (Matthew 15:3-6). 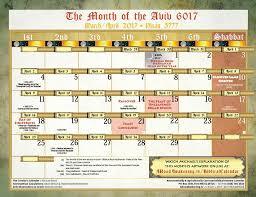 We are instructed to guard/keep the Month as opposed to just one Feast Day. Strangely, most commentaries (on both side of the aisle—Christian and Judaism) fail to mention this powerful commandment. They bypass the command to guard the Month and go straight on over to “keeping just the Passover.” In terms of Christianity, it’s keeping Easter. However, we’ve been called to do better and to obey the instructions of YHVH. 2. Know what the Month of Aviv is and when it occurs—a calendar issue. According to Torah, the aviv barley in conjunction with the renewed moon in the land determines the start of the sacred calendar year. Thus Father has established with us His reckoning of time. He has established with us His calendar that we are to “shamar.” In this, we must bear in mind that we followed a pagan calendar during our sojourn in Egypt for centuries. Father was stopping that practice and now establishing His own calendar for us to follow. Do you see any spiritual and life parallels here? I say that our accepting Father’s calendar is part of our sanctification: that which sets us apart from the rest of the world. Therefore, Father in this command is telling us that this is going to be the month that not only establishes the beginning of our annual calendar, but also marks our freedom from captivity and the start of a new life for us. Can you see the amazing spiritual and prophetic parallels here? 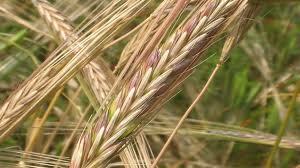 When the renewed moon is sighted in conjunction with the aviv barley in the land, the sacred calendar year begins. So what’s the deal with the Month of the Aviv? Aviv is a term that describes the condition—the state of maturation—of the barley crop in the Land of Israel. Thus Aviv denotes a specific harvest season—the spring harvest season. Can you recognize the tremendous spiritual and prophetic applications portrayed here as well? Why is the maturity of the barley in the Land important? Well, to begin with, Father says so. But the other things is that we needed the barley to be aviv so that it may be offered by the priests on Yom HaBikurim—the Day of Firstfruits as described in Leviticus 23:11-15. The prophetic and spiritual implications of this are nothing short of amazing and spectacular. By knowing the state of the barley harvest in the Land, Father has given us the key to knowing when His year is to begin. From there, all we need to recognize then is when the new month begins. 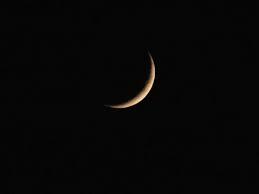 Torah tells us that each new month begins with the sighting of the renewed/new moon, which is the appearing of the first sliver of of the moon. The Hebrew Calendar is Torah Based and hinges upon sighting the renewed moon and the aviv barley in the land of Israel. The Torah Observant Believer in Yeshua Messiah must make key decisions as it relates to this time of year: whether to recognize who they are and to whom they belong. In determining who they are and to whom they belong, he or she must determine who they will obey: Torah or religion; Yah or man; truth or tradition. Most Messianics adhere to the Rabbinic/Jewish calculated calendar. The rabbis changed the head of the year (Rosh Hashanah) from the 1st day of the month of the Aviv to the 1st of the Babylonian month Tishri, which is the 7th month. The focus shift was from that of the sacred start of the calendar year to the commercial start of the calendar year. Consequently, several changes have been made to adjust Abba’s Feast days and assign guidelines for Feast observance through this calendar. The state of the barley and the sighting of the renewed moon has been entirely eliminated from consideration through the implementation of this calendar. 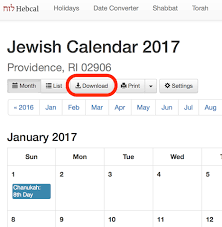 So enamored has Judaism become over this calendar that one Jewish scholar remarked about the calendar’s “mathematical exactness” (Hertz). One should note also that Babylonian names were assigned to each month whereas in Torah, the only month assigned a title or name was the first month—the Month of the Aviv. Please understand dear saint: this is in no way meant to be or appear anti-Semitic. I am using Torah and the rest of scripture to paint as real and fair a portrait of the current calendrical situation as possible. Our western—Gregorian Calendar of course factors in Catholic/pagan-based horror-days and is based, like the Rabbinic Calculated Calendar, on precise mathematical calculations. There is no concern whatsoever for the Creator’s reckoning of time as stipulated in Father’s Torah. The Gregorian New Year begins, not in the spring of each year as Father requires, but in the middle of winter, on January 1st. Needless to say, this New Year celebration is filled with debauchery and is absent the solemnity that the Aviv Month observance is filled with. All in all, the Creator is intentionally and completely factored out of the celebration. As Torah Observant Believers in Yeshua Messiah, we must pick a calendar. Sticking with the Gregorian Calendar will NOT put us in sync with Father’s reckoning of time simply because Father is not in the least factored into its development. The calculated Jewish Calendar on the other hand puts us under control of the Sanhedrin’s and Hillel’s reckoning of time that is based upon religion. The one thing that should be at the forefront of everyone’s mind here is: did we come out of religion only to find ourselves in religion all over again? The observational calendar puts us in sync with Father’s reckoning of time simply because it is Torah and faith-based. I guess it comes down to determining within each of us: how important is it to each of us to be in sync with Father and on time for His set apart days? So how do we actually guard or keep the Month of the Aviv as commanded by Father in His Torah? The answer to this bottomline question is found in Exodus, chapters 12 and 13; Leviticus chapter 23; and Deuteronomy chapter 16. We must keep in mind that we’re talking about keeping a season/keeping a month, as opposed to just a single night. Father knew we would reduce the significance of His command to guard the Month; thus He especially wanted to make this clear to us in Deuteronomy 16. Thus we are instructed to celebrate the Passover. Now, if we take the time to actually read Torah in context, we will clearly see that Passover is not just one night’s dinner celebration. It’s much more than that dear friend. We are instructed to sacrifice the Passover Lamb, which Master took care of for us on Calvary’s execution stake. So there is no longer any need to worry about that particular task. Certainly, there’s nothing with having a nice lamb meal on Passover night with friends and family. However, we have no business sacrificing lambs as so many in our Faith have made a tradition of during each year. We are instructed to keep the Passover meal, which can include a traditional Passover Seder, but more importantly, Master encouraged us to keep the sacred traditions of eating the bread and wine and washing one another’s feet as He demonstrated and outlined for us in Matthew 14; John 13; and I Corinthians 11. We are instructed to eat Unleavened Bread over the course of the 7-days that immediately follow the Passover Day. Thus, we are to rid our homes and dwellings of all leaven. Leaven during the Month of Aviv, symbolizes sin and the Feast of Unleavened Bread is rich in prophetic and spiritual symbolism and application. “Purge out therefore the old leaven, that ye may be a new lump, as ye are unleavened. For even Messiah our passover is sacrificed for us. Therefore, let us keep the feast, not with old leaven, neither with the leaven of malice and wickedness, but with the unleavened bread of sincerity and truth” (I Corinthians 5:7,8; KJV; adjusted). We are also instructed to celebrate Yom HaBikurim which is the Day of Firstfruits. This day provides us an opportunity to thank Father for His provision and blessings throughout the winter months and thank Him for the spring harvest (Leviticus 23:10-16). Today, it provides us an opportunity to give of our increase to the work of the Gospel. Needless to say, the spiritual and prophetic symbolism and applications here are spectacular as well. Furthermore, we are to teach our children the significance of the season/month (Exodus 12:26). This month offers us the opportunity to redeem our firstborn children and dedicate them to Yehovah (Exodus 12:2-13). How many of us have taken the time to teach and train up our children, and then offer them—pray and anoint them—unto Yehovah our Elohim? In closing, when we look at guarding the Month of the Aviv, we must actually prepare ourselves to keep the month. It will require that we be zealous and non-compromising in our commitment and practices related to the month and its associated festivals. We must be teachable and obedient to Father’s Holy Spirit so that we are in-sync with Father’s timing and the lessons He’s trying to teach us. We must have in place the proper logistics and even finances to ensure that we are good to go through the month’s activities. We must be Johnny on the Spot to have the time set aside for observing the Month as Father’s has instructed. For those of us who work, it will require that we secure time off for work during key days of the festival. Thus, it behooves us as we prepare to guard the Month of the Aviv, to pray and study, study and study. It is vital that each of us establishes, fosters and maintains as deep a relationship with Abba as we possibly can and then seek Father’s Holy Spirit to lead us and guide our guarding of the Month of the Aviv. I’ve just given you the framework upon which to build your own guarding of the Month of the Aviv. It now falls to each of us to put drywall and finishing touches to our guarding of the Month of the Aviv. This entry was posted in Blog Posts, Its Not As You Perceive Podcast Episodes and tagged aviv, barley, bible, calendar, Feasts, feasts of the lord, God, harvest, hilary thomas, It's not as you perceive, Moses, passover, rod thomas, sabbath thoughts and reflections, spring, Torah, Truth, unleavened bread, wavesheaf, Yehovah, Yeshua. Bookmark the permalink.